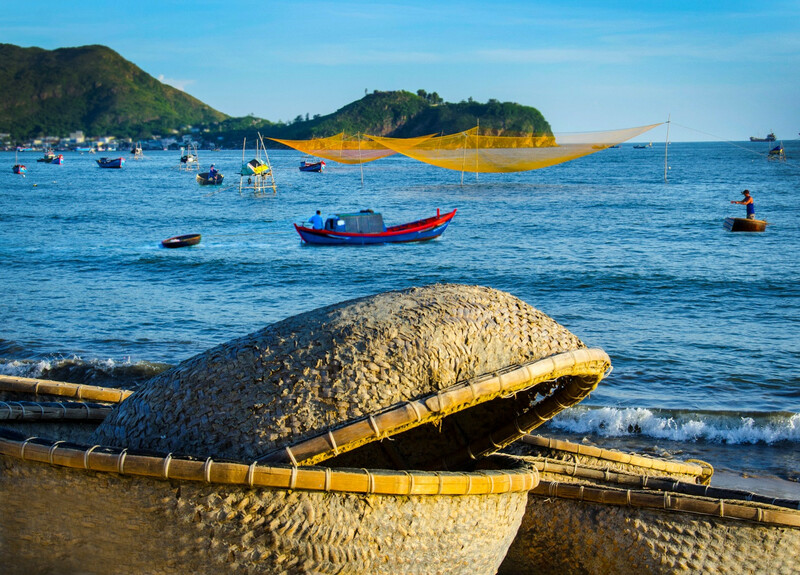 Quy Nhon has become a more and more alluring destination thanks to its breath-taking beauty, economical transportation, convenient accommodations and savoury cuisines. 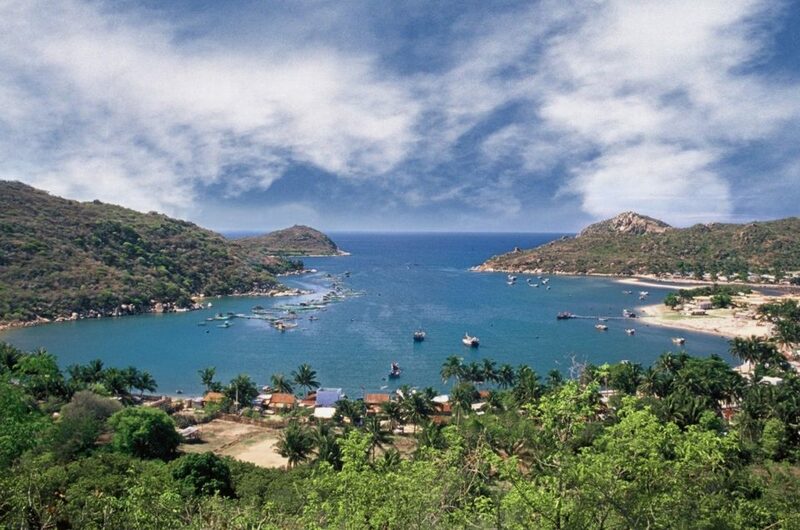 With the prospering tourism, Quy Nhon has successfully attracted hundreds of tourists every year. 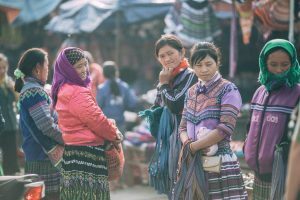 As summer is getting closer, let’s put Quy Nhon in your bucket list this year and explore Vietnam’s earthly paradise with our travel tips. Transportation – How to get to Quy Nhon? 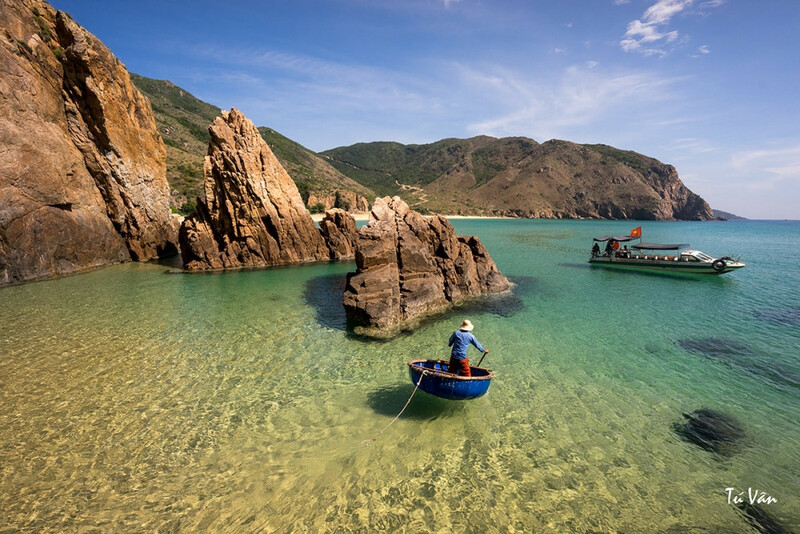 The best time to visit Quy Nhon is in early summer or late spring. It is quite easy to reach Quy Nhon if your starting point is from Hanoi or Ho Chi Minh City, therefore, booking a flight is the most time-saving way to get to Quy Nhon. For the best prices, you can choose Vietjet Air and fly to Phu Cat Airport since there will be chances to look for low-costed flight tickets (at 12pm weekdays) or tickets with reasonable prices. Accommodation – Where to stay in Quy Nhon? 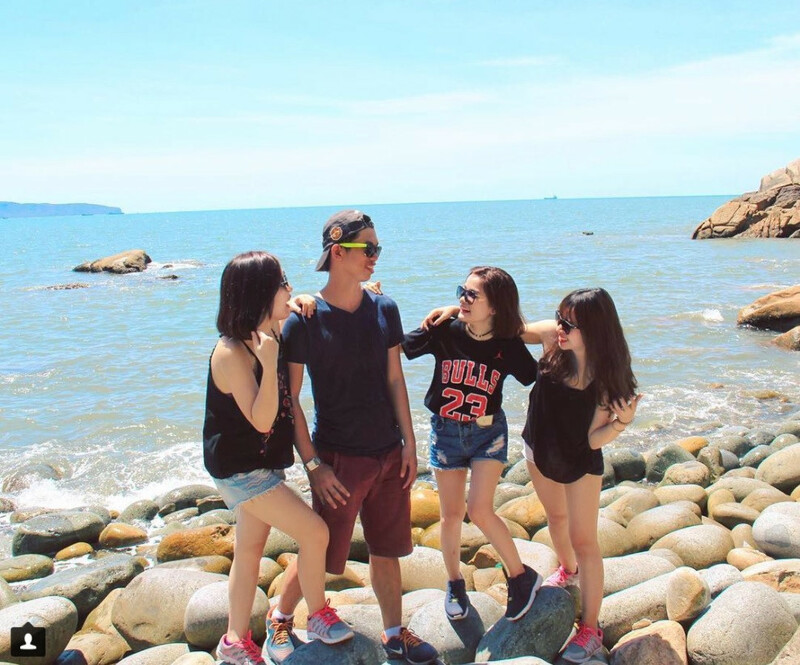 The diverse accommodation in Quy Nhon includes homestays, hotels, resorts, etc. which are always available and close to famous attractions. 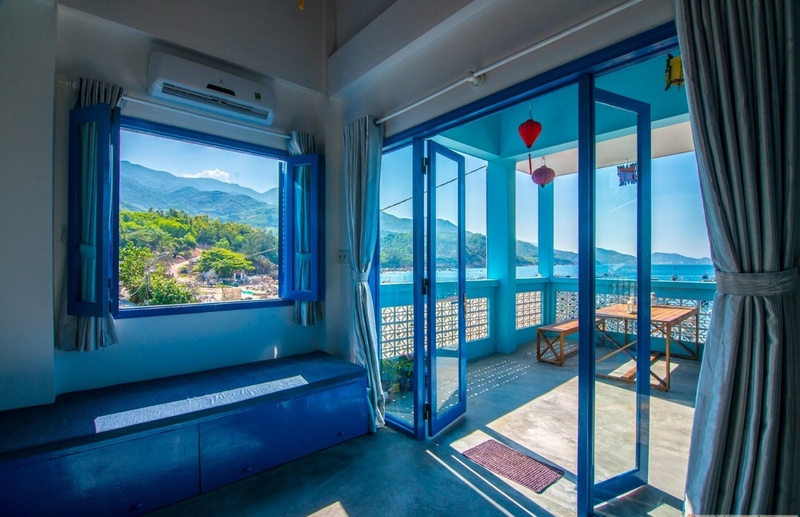 The price ranges for Quy Nhon’s hostels and hotels are 250.000 – 500.000 VND. Rooms with ocean view in resorts and hotels at the end of Nguyen Hue Street are 800.000 – 1.000.000 VND. 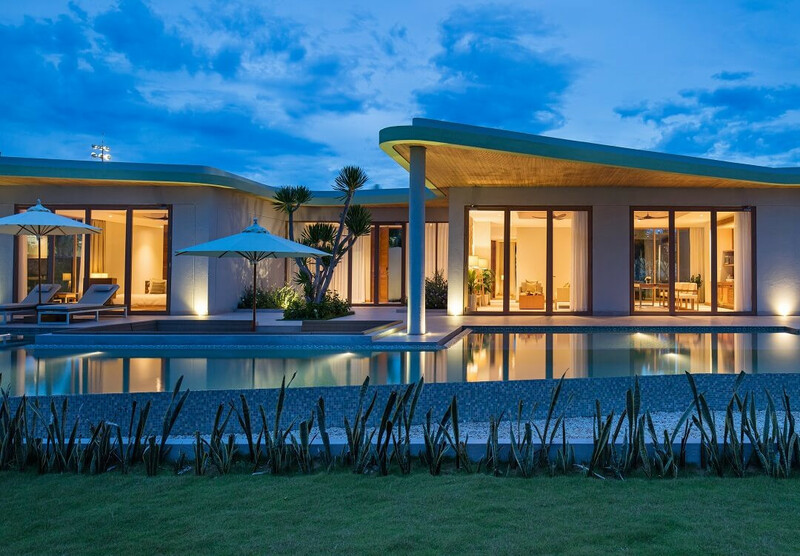 Quy Nhon also has many 5-star resorts meeting every need of comfortable, luxurious and classy accommodations. These high-class resorts offer 1.000.000 – 10.000.000 VND for accommodation fees depending on customers’ requirements. With adequate services and fantastic view overlooking the beaches along with sophisticated, modern design, these resorts certainly are as lavish as world-class resorts. 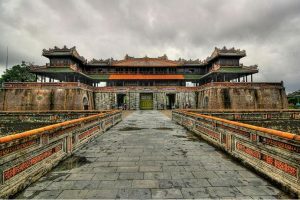 Attractions – What to see in Quy Nhon? Eo Gio – Nhon Ly Province: It is known as Vietnam’s Jeju Island for its pristine beauty from the blue sea and rocky mountain ranges. Away from Quy Nhon city centre about 20km, straight through Nhon Ly Province center and Highway 19B, Eo Gio wonderfully emerges with continuous rows of casuarina and stretches of white sands. 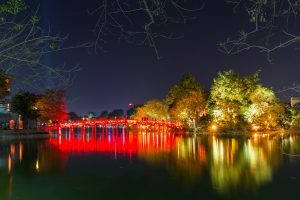 Eo Gio is voted as one of the two most alluring attractions in Binh Dinh because of its poetic beauty with the blue sea surrounded by majestic mountain ranges, which has incredibly made Eo Gio as charming as the romantic views in Korean movies. Ky Co Beach: Being the most pristine beach with its crystal-clear water, it is only 30 minutes away from Eo Gio by junks or canoes. Since it is a new destination for tourism development, Ky Co’s services are still limited, so it would be a fantastic opportunity to entirely enjoy Ky Co’s pure and perfect beauty. Visiting Ky Co, travelers can indulge themselves into the transparent water or go diving deeply in the sea to admire the vivid corals. Hon Kho: Through Thi Nai bridge and then to Nhon Hoi economic zone, Mai Huong bay, Nhon Hai fishing village, visitors can reach Hon Kho by boats. Hon Kho is quite a deserted island as it is entirely surrounded by blue sea and rocky mountains. Hon Kho is also a sparsely populated island with the main activity of fishing. The most special feature of Hon Kho is its fresh and low-costed seafood. Visitors can directly purchase seafood wild-caught from the locals as souvenirs. 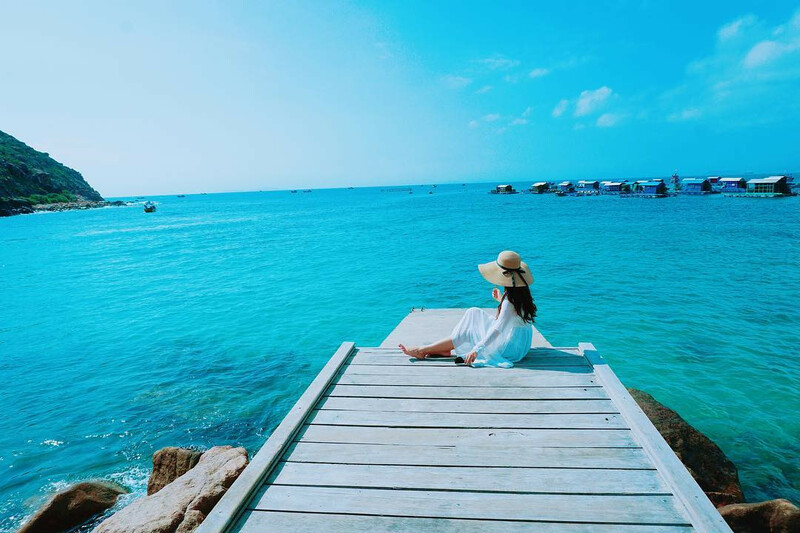 Bai Trung (also known as Queen Beach since it is used to be Nam Phuong Queen’s exclusive bathing area): the beach’s name is originated from the white oval rocks like giant egg shells lying over each other, surrounded by the blue sea, creating a stunning scenery. 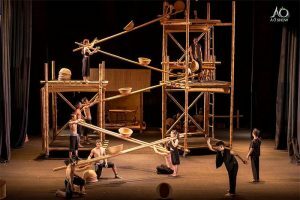 There are also others appealing attractions such as Bai Bai, Bai Nhom, Bai Dai, Bai Xep, etc. presenting the unique beauty of Quy Nhon. 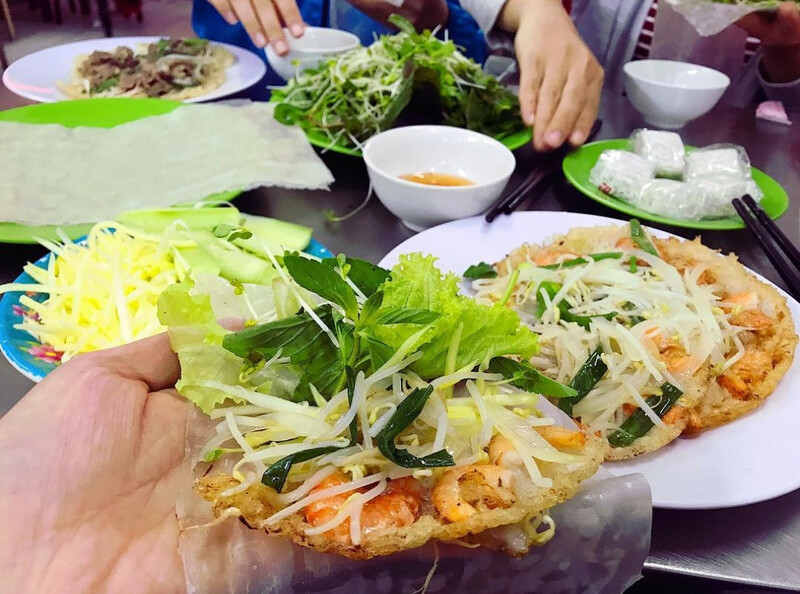 Food & Beverage – What to eat in Quy Nhon? 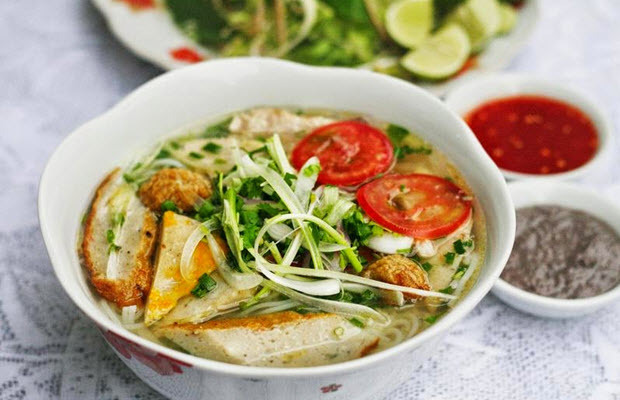 Quy Nhon is famous for its bun ca (fish noodles) because the secret lies in the dish’s recipe. Fish is made into cha ca (gefilte fish), the noodles are stretchy and eye-catching, fish’s heads are used for broth to create a significant taste for the dish. Banh xeo (crispy cake) is a common dish but Quy Nhon’s banh xeo has its distinct flavour that cannot be easily forgotten. Fresh shrimps caught from tamps become banh xeo’s fillings and the crusts are all crispy and crunchy. Another ingredients making Quy Nhon’s banh xeo an savory dish is the dipping sauce. There are also many other restaurants and dishes with reasonable prices in Quy Nhon’s center such as gie bo, banh hoi, banh can, etc.